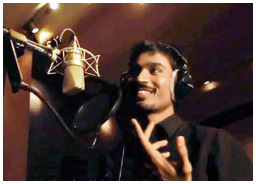 Dhanush's 'Kolaveri Di' might have been criticized by lyricist Javed Akhtar, but music maestro AR Rahman has praised the song. “This song is a clutter breaker, and comes once in a while. Like "Macarena", and "Jai Ho" happened. And this sort of song comes once in a while. People don't want to comprehend, go deeper, but just enjoy the song. It is something that doesn't challenge the intellect - and for me, it would be a lighter song like "Aati Kya Khandala". Aamir took that song to a different level, and Dhanush is the Aamir of South,” Rahman said. Dhanush had never thought that he could achieve this kind of success. And speaking about the success of the song, Dhanush said that it’s just a phase that will pass. Following 'Kolaveri Di', Dhanush is getting offers to work in Bollywood films. “There are exactly four offers to act in films, one song to lend my voice to and one album to cut. I've said no to the song and the album. About films, I really don't know how to pursue them. I don't know Hindi. The culture, too, is very different. I'm not worried about the acting bit, as any Indian anywhere in the country can do another Indian's job. I also want to evaluate my strengths and weaknesses before I jump into something as big as Bollywood,” said the actor.